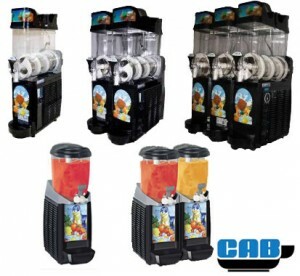 We offer frozen beverage machines as well as cold beverage dispensers suitable for every occasion. From companies such as Faby, Frosty Factory, and Grindmaster-Cecilware. We’re sure we have something perfect for you! With over a decade of providing you with top quality frozen beverage products and service, Equipment Masters is your #1 source for all your frozen drink machine wants and needs! Why buy from the rest when you can deal with the BEST? That’s what being a master is all about! From lines of margarita machines in Mexican Restaurants, to frozen specialty drinks in coffee shops, Frosty Factory of America supplies equipment to a large variety of applications and serves the complete requirements of today’s commercial foodservice operators. 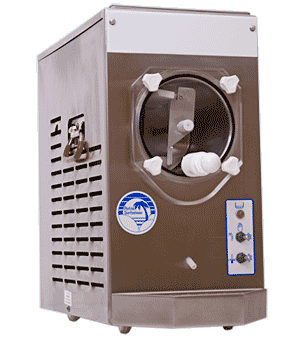 Quality equipment and total customer support is what makes Frosty Factory a top choice for your frozen beverage equipment. As one of the leading global manufacturers of hot, cold & frozen beverage dispensing equipment, Grindmaster-Cecilware Inc isknown for their innovative & diverse line of products. We’re proud to offer you the entire beverage equipment dispenser product lines from Grindmaster-Cecilware.